Gift the gift they will never forget! 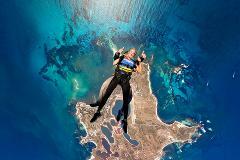 Tandem skydiving over beautiful Rottnest Island from 8,000ft = 20 seconds free fall time. Gift the gift they will never forget! Tandem skydiving over beautiful Rottnest Island from 8,000ft = 20 seconds free fall time, with Handcam Video and Photo's package included. Gift the gift they will never forget! 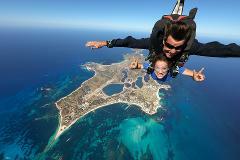 Tandem skydiving over beautiful Rottnest Island from 10,000ft = 30 seconds free fall time. Gift the gift they will never forget! Tandem skydiving over beautiful Rottnest Island from 10,000ft = 30 seconds free fall time, with Handcam Video and Photo's package included. Gift the gift they will never forget! 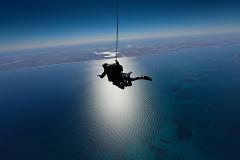 Tandem skydiving over beautiful Rottnest Island from 14,000ft = 60 seconds free fall time. Gift the gift they will never forget! Tandem skydiving over beautiful Rottnest Island from 14,000ft = 60 seconds free fall time, with Handcam Video and Photo's package included. Gift the gift they will never forget! Tandem skydiving over beautiful Rottnest Island from 15,000ft = 66 seconds free fall time. Gift the gift they will never forget! Tandem skydiving over beautiful Rottnest Island from 15,000ft = 66 seconds free fall time, with Handcam Video and Photo's package included.